Have you ever fainted before, or come close to blacking out? If you have, you know how scary it is. One moment you’re OK, then the next, you lose your motor skills and the world around you goes dark or maybe starts spinning. Sometimes you may find it hard to keep your balance, but other times you can collapse to the ground. Most cases of lightheadedness aren’t severe or chronic. In fact, gravity is to blame about 90 percent of the time. But that doesn’t mean you shouldn’t know about other underlying factors that can cause it. Once you understand how those factors affect you, you can go about fixing them, so you’re no dizzy. Want to finally understand why you’re lightheaded and how to fix it? Keep on reading to learn more about why you’re dizzy, and how to stop it. Fainting and lightheadedness happen when the brain isn’t getting enough blood supply. When fresh blood enters the brain, it helps to replenish oxygen supplies. So when a person’s blood pressure is going down, lightheadedness is often a result. Also, if the person isn’t breathing properly, this too can cause them to faint. 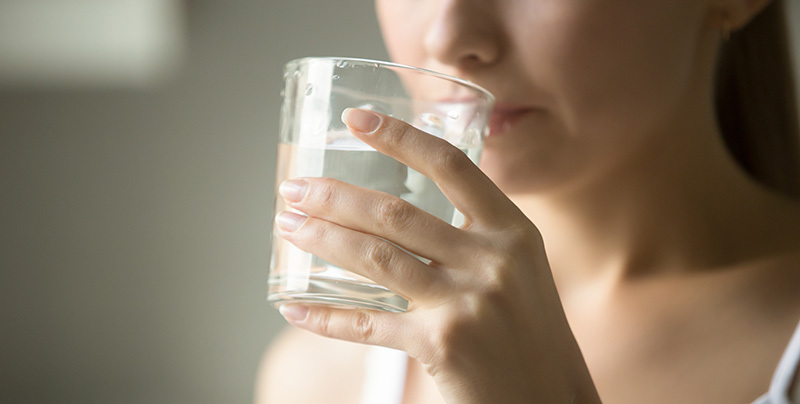 Dehydration is one of the most common reasons a person might be feeling light headed. After working up a sweat, some people often feel as if they’re about to faint. And, in some cases, they might. The body sweats as a result of being too hot. When our bodies overheat, our blood vessels, and capillaries dilate to help it cool off. When they do, this causes blood pressure to drop in the body, which can cause the brain to be starved of oxygen. And if you’re dehydrated, you won’t sweat as much. Thus, you’ll be running even hotter and could get light headed. Some people like to be surprised, and others just flat-out can’t handle it. If you’re surprised with like a birthday party, your brain can have a hard time making sense of it all. If there’s too much stimulus to take in, the brain chooses to shut down entirely. 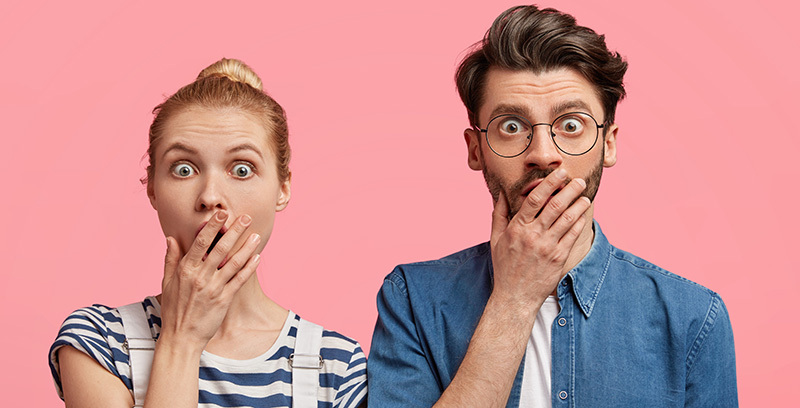 This shock to the brain is why you could faint from sudden surprises. Like we said before: Gravity is the biggest culprit to feeling light headed. When we stand up too fast, gravity forces the blood supply downward. So by standing up too quickly, you can push a certain amount of the blood supply out of your brain. This sudden drop in the brain’s blood pressure causes some people to faint when standing up fast. 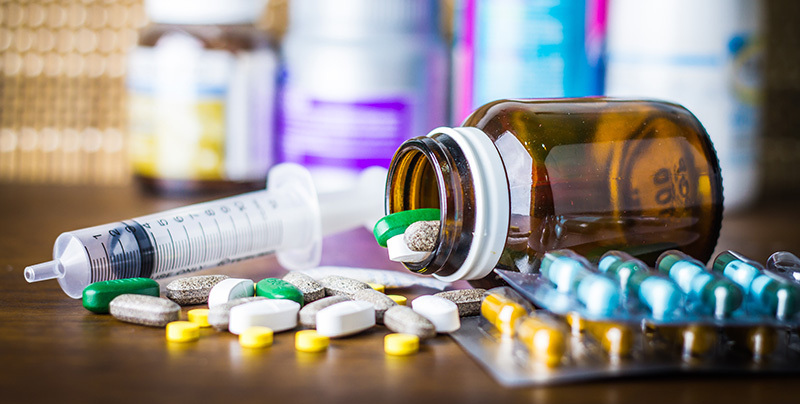 Many medications on the market can affect the body’s ability to maintain a steady blood pressure level. Things like blood thinners and cholesterol medication often cause low blood pressure. However, the body can usually adapt to this over the course of a few weeks or months. But generally speaking, lightheadedness and dizziness can happen when first starting a new medication. It’s always a good idea to consult with your doctor if you’re feeling light headed after taking a medication. He or she can tell you if it’s the medication itself causing it, or another underlying issue. Some medicines can worsen specific medical problems that may cause you to feel faint. You Might Have The Flu Or Other Illness. If you’ve ever had the flu or cold, you know how bad it can make you feel. Also, you might remember feeling light headed during your illness. Having the flu or other like-illness forces the body to use all its energy to fight off the virus infection. After the illness passes, you can expect those feelings of lightheadedness to pass. When you’re sick, consider keeping your body upright to help with lightheadedness. It’s also a good idea to stay hydrated to help keep your body cool. Because lightheadedness is related to blood pressure, heart conditions can play into lightheadedness. Things like heart murmurs and clogged aortas can cause the body’s blood supply to drop. 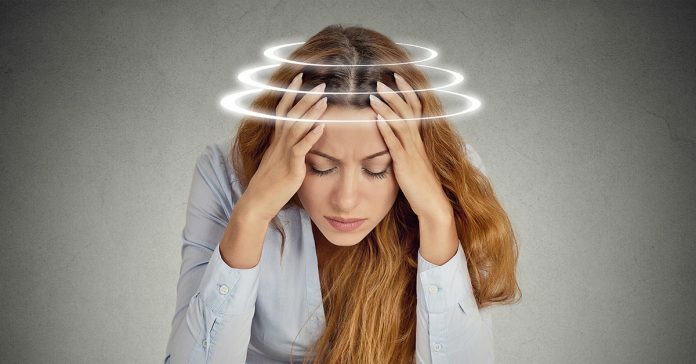 Often, feelings of dizziness or lightheadedness are a symptom of such conditions. If you all of a sudden start feeling dizzy on a daily basis, consult your doctor. It could be an underlying heart condition that’s getting worse. Stroke survivors often report having felt dizzy before they experienced their stroke. This feeling of lightheadedness is from the stroke cutting off blood supply to the brain. However, just because you get lightheaded from time to time doesn’t mean you’re at risk of having a stroke. Other symptoms like body paralysis and slurred speech occur before a stroke, as well. Your blood pressure is also dependent on your body’s blood sugar levels and metabolism. When you haven’t eaten in a while, your body will conserve energy. When this happens, your body believes you’re starving. Because of this, it will go to great lengths to slow down your bodily functions. As a result, you may experience lightheadedness or dizziness. This feeling of unease is caused by the body lowering your blood pressure. Thankfully, this fix is straightforward: If you’re feeling light headed from not eating, enjoy a meal or snack. By eating, you’re helping to replenish the body’s blood sugar supplies. Also, eating signals to the body that it’s no longer in danger of starving. Because it believes you’re now OK, the body will begin ramping-up your metabolism to normal and dizziness will disappear. Because being lightheaded is often a symptom of a more significant problem, treating it can be tricky. 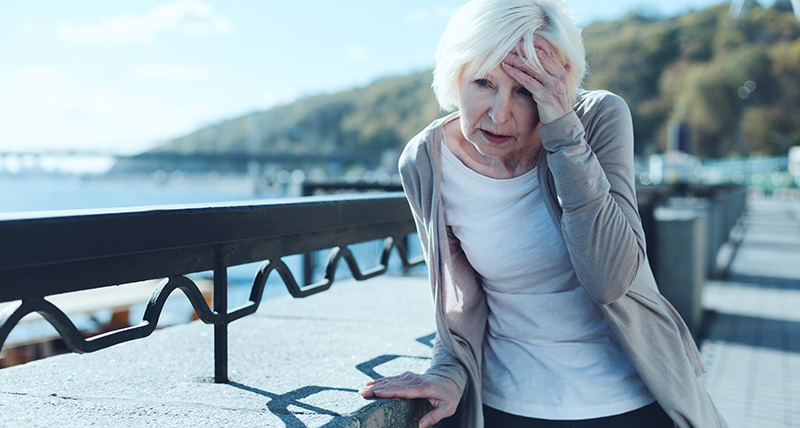 If you’re experiencing chronic lightheadedness, it’s always a good idea to consult a doctor. Eating a healthy and balanced diet is one of the easiest ways to help with feeling light headed. Foods rich in fiber, omega fatty acids, and low in refined sugar allow the body to operate at peak levels. Also, these foods are usually heart-healthy, which can help improve your heart’s health as well. Also, drinking plenty of water aids the body in staying cool. This alone is important to prevent you from overheating and making you feel light headed. Foods and drinks that contain high levels of caffeine, refined sugar, and cholesterol can worsen lightheadedness. Consider cutting those items out of your diet, if you’re battling feelings of dizziness. Stress can cause a host of problems. And it can also be one of the reasons why you’re feeling light headed. If you’re feeling overwhelmed and stressed-out, consider doing deep breathing exercises. Lowering your stress levels can level-out your body’s blood pressure. Having a stable blood pressure will reduce your chances of feeling woozy. Increasing your overall stamina is an excellent way of fighting lightheadedness. Working out will keep your heart healthy, as well as improve your fitness levels. Staying active also helps to raise the body’s blood supply levels to healthy amounts. Cardiovascular workouts, specifically, workout the heart, which can improve feelings of dizziness. Exercises that stress flexibility like yoga and Pilates are also beneficial to take. Because muscles can constrict blood supply to parts of the body, it’s important to keep them flexible. This will ensure you’re not cutting off blood flow to certain extremities, like your head. Like we said before: It’s normal to experience the occasional light-headed episode. However, if you’re feeling dizzy or are fainting on a regular basis, it might be a good idea to seek professional help. A doctor can help pinpoint why you’re constantly feeling dizzy and can help with treating any underlying issues. Experiencing lightheadedness isn’t anything to brush away. Even if you only get dizzy every once in a while, it’s worth looking into why it might be happening in the first place. From a lousy diet to high levels of stress, lightheadedness is usually a warning sign that something is off in your life. For that reason alone, you should never ignore being light headed. Use it as a chance to realize you may need to change something in your life. Or in some cases, it might be a sign you should see a medical professional. Either way, treating your lightheadedness will only make your life better in the long run.